Today I had a girls day with my granny and mom. We went to the CY market and browsed through all the lovely stuff there followed by a sun filled and wind-free lunch (for those who have headaches from the summer South Easterly winds that have arrived in a gale overnight you will understand why I am mentioning this). The market is fairly small but each room is full of wonderful goodies from decorative wall hangings to clothing and wonderful deli delights. My mom found this cute pun-cushion cupcake which is significant becuase in my mom’s class, way-back-when she was my teacher in sub B/Grade 2, we all knitted these long ‘snakes’ and made tea cosies. The market is on till Sunday 2pm. There is also a wine festival on in Durbanville this weekend which is another reason to go and spend a day there. To see more details click here. 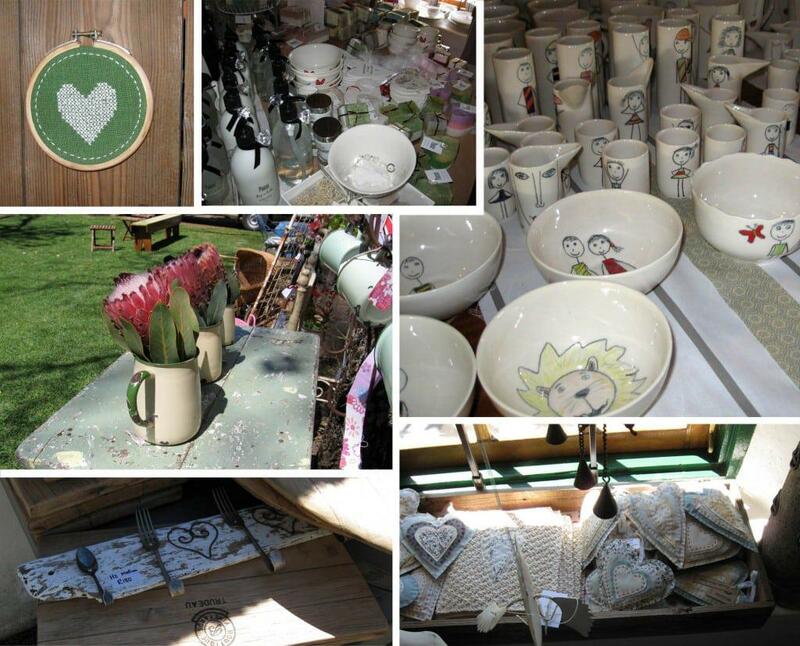 This entry was posted in Blog and tagged 2009, Cape Town, craft market, cy market, durbanville, market, xmas market. What for a nice and colourful market!The bouquet of the proteas looks very beautiful!Have a nice Sunday!